How much for a slice of [luxury] paradise? Hawaii’s luxury condo market may seem eye-poppingly expensive, but is a bargain compared to other destination cities. A private elevator straight to the world’s largest open-air luxury shopping center. A movie theater with tiered seating and a gated dog park. Luxury villas with private garages and private gardens as well as resident dining rooms with catering and chef’s kitchen. These are just some of the world-class amenities that come with the steadily rising asking prices of units in Honolulu’s newest luxury towers. Examples range from The Howard Hughes Corp.’s Waiea condominium’s $36 million grand penthouse, the highest asking price for a unit of its kind in Hawaii, and the Park Lane Ala Moana penthouses, developed by a partnership including Kobayashi Group and The MacNaughton Group, that are priced in the upper $20 million range. Most sources tell PBN that this level of luxury condo product, while relatively new to Honolulu, will only continue to get better and expand throughout Hawaii. The recent wave of luxury high-rise towers also includes The Howard Hughes Corp.’s Anaha and Waiea projects, Kobayashi Group and The MacNaughton Group’s ONE Ala Moana and Park Lane Ala Moana projects and Irongate’s Ritz-Carlton Residences, Waikiki Beach project. OliverMcMillan’s Symphony Honolulu project also includes units in the luxury category. Honolulu currently commands an average between $3,000 and $4,000 per square foot for its luxury condo units, with more room to ascend, according to BJ Kobayashi of the Kobayashi Group. However, for all the concerns of late that these products are ridiculously out of reach for the average local homeowner, that fact is the prices of Honolulu’s new luxury condos pale in comparison to some of the other new luxury towers across the globe. London’s One Hyde Park has units commanding $12,000 per square foot, as does Opus Hong Kong, three or four times the asking prices of Honolulu’s priciest units. Another way in which Honolulu’s luxury apartments are competing on this global stage is through the use of world-class architects. While Opus Hong Kong comes from the twisty mind of Frank Gehry, here in Hawaii such architects as Canada’s James K.M. Cheng Architects, Chicago-based Solomon Cordwell Buenz, Pennsylvania-based Bohlin Cywinski Jackson and New York’s Richard Meier & Partners Architects either have designed or are designing towers in The Howard Hughes Corp.’s 60-acre Ward Village. How does Honolulu’s fledging luxury market stack up? PBN checked in with well-established luxury condo markets, including London, New York, Hong Kong and Miami, to get a sense of just where Honolulu stands. 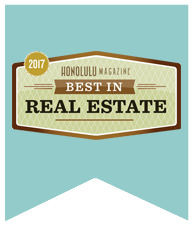 Sources say that while Honolulu might never be in the same conversation as these world-class cities, there are certain attributes that make Hawaii an attractive buy for luxury condo shoppers, including its year-round nice weather, close proximity to Asia, safety and security and unique culture. The towers rising in Honolulu’s skyline all come down to a strong market that continues to strengthen. He noted that in the next five to 10 years, prices of these ritzy units may ascend even more, mainly because the units may be in high demand as inventory remains tight. Howard Hughes’ Apo pointed out that almost everyone is recognizing that these are probably the highest-priced and most prestigious condos being built in Hawaii to date. Hawaii has to commit to not only sprucing up its condo units, but further creating and growing that experience that buyers are looking for in the surrounding neighborhoods. At the end of the day, it’s still Hawaii that makes Hawaii special, according to Lance Wilhelm, managing principal for California-based Irongate, which is the developer of the Ritz-Carlton Residences, Waikiki Beach project. Others say that there are a lot of wealthy individuals who are tired of looking at buildings in dense urban landscapes, and that Honolulu is the only place where they can enjoy a city lifestyle that’s near the ocean. “As Ward Village takes shape, as more and more wealthy people see this, we probably won’t reach levels of New York and London, but more and more people will want to get away from the cities and that’s where Honolulu comes in,” Kristian Nielsen, founder of real estate firm Honolulu HI 5, told PBN. When a buyer comes to Hawaii looking to purchase real estate, many of these buyers already own a piece of paradise. Park Lane has seen a mix of buyers, mostly from Hawaii, Japan, Hong Kong, Singapore and the West Coast. A similar buyer profile may be attributed to other condos developed by Kobayashi Group and The MacNaughton Group — ONE Ala Moana and Hokua. For Howard Hughes’ Waiea and Anaha condos, the buyers include a mix of international, domestic and local buyers, according to Apo, who does not see Honolulu in competition with buyers in New York, London or Miami. At the Ritz-Carlton Waikiki condominium-hotel towers, there are lots of international buyers, mainly from Asia, said Wilhelm. Some, including Myra Brandt, principal broker for LIST Sotheby’s International Realty, contend that Honolulu is fighting for the same buyers as in other markets such as New York, London, Miami and Hong Kong. “That buyer is global, a worldly traveler,” she told PBN. Brandt, a veteran of the luxury residential market, says that the first wave of buyers are people who are looking for a return on their investments, and that it is difficult to find a return on their investment in Hawaii. Honolulu does have a lot of room to grow its newly minted luxury condo market, according to Douglas Shanefield, vice president and Previews property specialist for Coldwell Banker Pacific Properties Ltd. Despite Kobayashi Group and The MacNaughton Group recently pulling the plug on their Vida 888 at Ala Moana luxury high-rise condo project due to poor sales, some experts say that there is still demand for this type of product. “It’s slower and not selling at the same pace, but there’s no real indication that things are turning the wrong way,” Nielsen said. Apo also thinks that the luxury market is softening, but it hasn’t stopped. “The nice thing for us is that we have a variety of product,” he said. Hawaii is finally starting to create the product that compares to the other buildings on the market, according to Shanefield. Duane Shimogawa covers energy, commercial real estate and development for Pacific Business News.